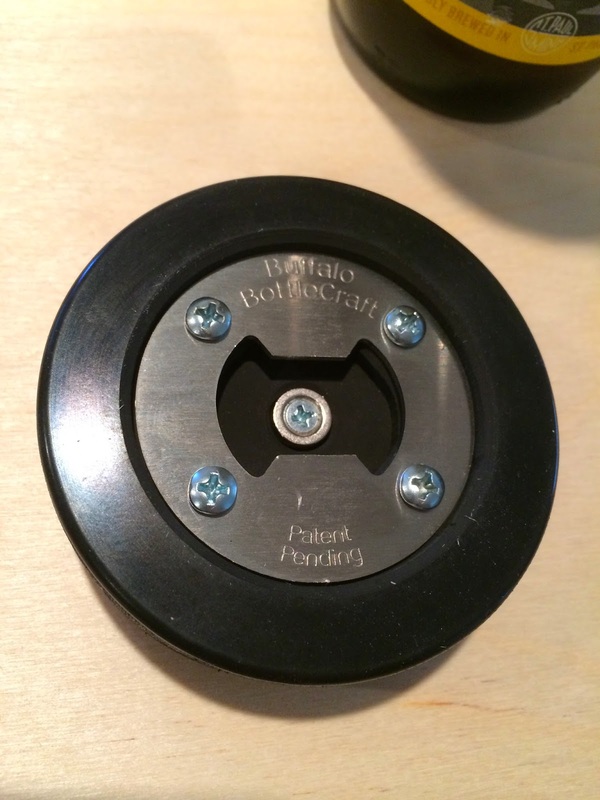 I was recently contacted by Buffalo BottleCraft about The PuckOpener, a bottle opener made from a real hockey puck. They wanted to see if I'd like to check it out for myself. Of course I said "of course." 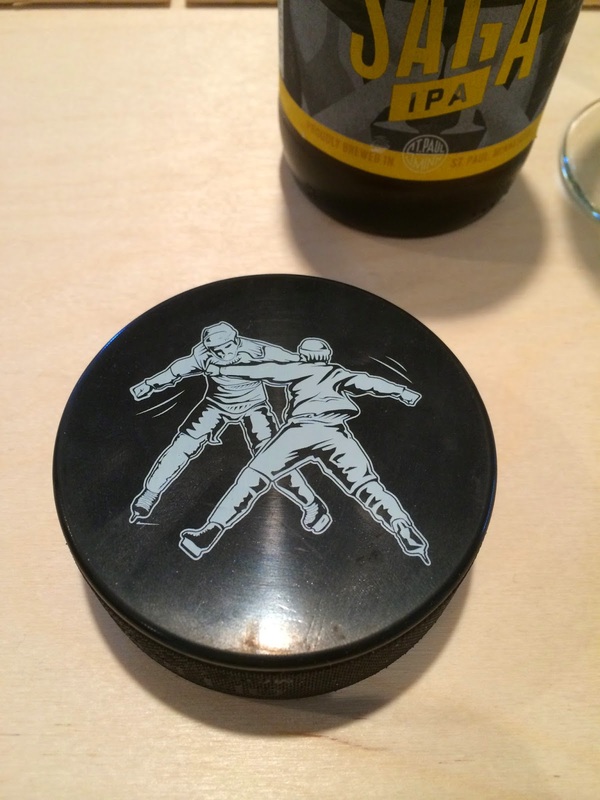 The top of the puck is decorated with two old-school, no-mask hockey players slugging it out in fight. Looks like Dave Schultz is about to connect with another chin! The underside of the puck has had some material removed to install a very solid bottle opening mechanism. Also inserted is a magnet so that the bottle caps don't fall after opening. It is a solid opener, one you know is going to last for a lot of bottles. 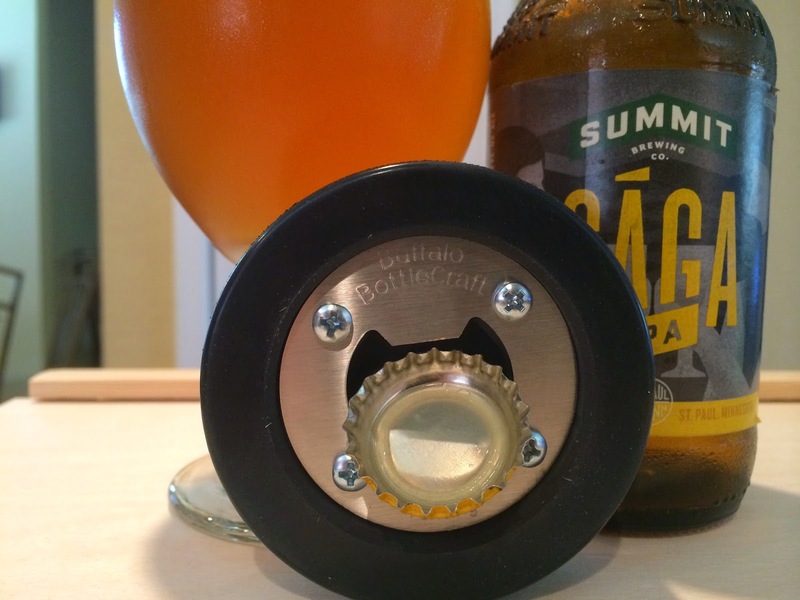 The PuckOpener fits nicely in your hand and can be used as a coaster after you open your bottle. Don't worry about it scratching your table either--the opening teeth and screws are sunk down below the hockey puck's rubber. I think it would be really cool to take one to a party for the host, and I'd for sure keep an eye on yours when your friends are over for the game. Nice idea! Check it out!